The MMO relaunch goes live for all a little early. 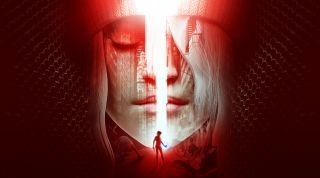 Funcom's innovative, real-world-ish MMO The Secret World relaunches as the free-to-play Secret World Legends on Monday June 26, at least officially. A 'head start' weekend is taking place right now, a weekend that was originally just going to be open to beta testers and owners of the original game, but that is now open to all (yes, including you, Steve). What I'm saying is that The Secret World Legends has launched a little early, and you can sign up here. The game client can be downloaded from here (direct link), and if you're waiting for it to come to Steam, that's going to happen in around a month's time, on July 31. You'll be able to import certain things from the previous version of The Secret World, including cosmetics and unlocked weapons, though it seems your characters won't be carried across. Of the relaunch, executive producer Scott Junior had this to say: "One of our biggest goals in relaunching the game has been to reimagine the core gameplay experience in a way befitting a modern-day action RPG. Secret World Legends features combat that feels more natural, deep systems that are more intuitive, better structuring of the early game for new players, and improved mission flow to strengthen the pace of progression for players."